Hi! 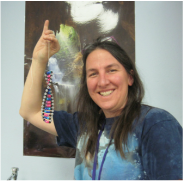 My name is Sonja Stiefel and I teach 7th and 8th grade gifted science at Cleveland Middle School in Albuquerque. Welcome to my science teaching website! The main purpose of this site is to provide students and parents with information and online tools to facilitate learning and communication.